I used to read and review for random authors and posted my reviews on Goodreads and amazon. I took my love for reading and reviewing a bit further when I signed on as a reviewer for Romancing the Book and Satin Sheets Romance. 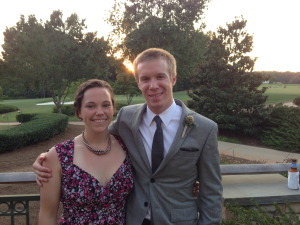 It was during this time I realized that this was something I enjoyed and figured I could start my own blog. I played around with the idea for some time and finally in January 2014 I decided to take the plunge. Do you have a special time to blog or how is your day structured? I am employed between the hours of 8:30am and 5pm Mondays to Fridays, so I generally do my blogging early morning, late evening and on weekends. For me Facebook used to be places where I connected with long lost friends and played games. However, this all changed when I began blogging. I now use it as a medium to help promote authors and their work and to share my love of book. What do you read, and how do you read? I enjoy reading all genres of romance, mysteries, legal and medical thrillers. I read every chance I get. I will read ebooks or paperbacks. Lately I have been reading a lot more ebooks as I find it easier to read on my kindle.What are you grateful for? I am very productive, however, when it comes to being organized, I do believe there is room for improvement. While I was studying for my Masters degree. I had to complete nine modules. When I started the course I was having doubts that I would be able to manage it as it was rigorous, hard and time consuming as such when I failed the third module I wanted to throw in the towel. However, thanks to my mom who has always been my biggest cheerleader I decided to get back in the race and I have no regrets. Sue is sad, lonely and by all means no super model. So, when she is offered a chance to try out a new anti-aging cream that will make her young again, she obviously is very enthusiastic and accepts the offer instantly. The cream works wonders for her, it returns her youth, her beauty, her charm. Everything she ever wanted. But for everything, there is a price, but is Sue ready to pay the price? I really liked this story, the characters were nice (most of the time), the plot was nice and the writing style too, was nice. Now, I’m not saying that this book was perfect, this book had its faults but, overall this book was amazing. To be honest, there were three things that bugged me the most about this. 1. I didn’t like Sue in beginning. Actually, I didn’t care for her up to almost 70% of the book, That really irritated me because how can you like a book without like the main characters right? But to be fair, after 7o% of the book, I really really like Sue and so, I really really liked the book, too. 2. Another thing that bugged me little was the hero, Roger Grayson wasn’t there most of the book, he showed up at 65% of the book. But, it isn’t that big of a deal because when he does shows up, he instantly makes me fall in love with him. 3. The last thing is that, I thought the first 20% of the book flew by. It was too fast. The first 20% I felt like I was sitting there watching Sue’s life fly by before me but, after that, the pace got better and I actually felt like a part of the book. Ah! The ending of the book! It was amazing! 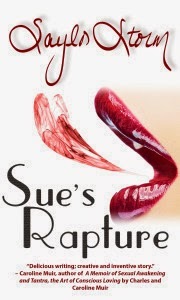 It made me want to start reading Sue’s Rapture almost instantly. Why I say almost, you ask? I say almost because after finishing Sue’s Seduction, I was just sitting there for a moment. With my kindle in hand, I was trying to speculate what Sue was going to do, what choice she was going to make and what will be the consequences. And after I took a minute (or a few) to think about these things, I went running to read Sue’s Rapture. One last thing I want to add is that, I found one more thing really ice about this book. It was that Sue’s Seduction wasn’t completely fiction. At the starting of every chapter, Saylor provided us with little facts about life, about youth and about aging, I was amazed and impressed to read them. And nothing makes me happier than to know, that some actual research was done before writing this book. In the end, I want to say that I highly recommend this book to everyone! Find Saylor Storm on her Website, Goodreads, Facebook and Twitter. 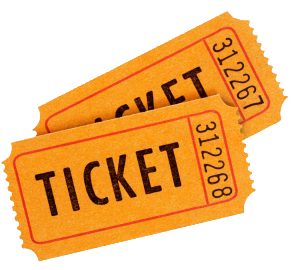 To enter the international Rafflecopter giveaway and have chance to win an E-Book copy of Sue’s Seduction and/or Sue’s Rapture, check out this link. To enter the Goodreads giveaway for U.S. residents to have a chance at winning a signed copy of Sue’s Seduction, click here. This was a fun, unique romance book that I finished in one sitting. There was a little bit of everything in it: anti-aging from the future, sexual encounters, drugs and ultimately some romance. There were also many interesting questions that were posed throughout the book: What is the most important in life when you have the choice to reverse age? What do you choose to do when you have the option to start over fresh? My main complaint would be that the reader is told everything rather than shown. I would have preferred the story to be more first-person and less third-person. Additionally, Sue seemed to be easily swayed, which left the ending of the book open to interpretation. I prefer to know exactly how things end. Personal preference aside, this was a fun easy read. Warning: Contains sexual content and drug use. Who should read it? Romance fans. Intrigued be the book? Enter the giveaway to win a copy! It isn’t a blog, but I have kept a journal as long as I can remember! My first journal is full of my accounts of trying to be “Harriet the Spy” as a seven year old. My first blogging project was part of a writing class in college and I kept a pseudo-journal afterwards. I wouldn’t say that I really enjoyed it until I traveled abroad and kept a log of everywhere I went. After college, I tried a few things here and there, but nothing “stuck” until began writing book reviews. Reading is something I’ve always been passionate about and this is a wonderful way to share that and meet like-minded people. I stumbled upon the idea of a book review site because I was consistently being asked for book recommendations from friends! I wish I did! I still have a day job so I blog as I finish books or in free time where I can sneak it in. I enjoy writing first thing in the morning when I can. What motivates you? Why do you blog? Blogging/Reviewing is a hobby for me, but I love it. It’s a way to fantastic way to hear about up and coming authors and new books I may have never considered. I love the entire process so it’s essentially a fun project I do whenever I can. It’s getting to know new people that have me most excited to keep working on it right now. I use Facebook as a communication tool. Many people hate signing up for email notifications because we all have stuffed inboxes. I consider Facebook a good alternative because you can quickly check it to see what’s new or get quick updates in your news feed when you’re already browsing. Stick to my schedule! Since this is just a hobby, my goals are to stick to my schedule and to see what other content I can add. Right now I am working on some new content like giveaways, recommendations, reading challenges and a book club! I read everything! If there’s anything I read less than others it’s horror, but there are many things I read that I would NOT watch in a movie. I’m a wuss when it comes to scary movies! I am often drawn to fantasy/ paranormal/ sci-fi, but it really depends on my mood. You’re equally as likely to see me enthralled with a classic, romance or comic! These days I typically read on my kindle though I do prefer paperback. I travel a lot for work (every week Mon-Thurs at the moment) so eBooks are the most practical. Otherwise my whole suitcase would be filled with books! What would you most like to learn on your own? A new language! I speak Spanish poorly, but it’s a practical skill I have neglected to be disciplined about. Otherwise I would love to learn how to write someday. I love the feeling of connection with an author after finishing a fantastic book and it would be wonderful to join the ranks. Still slaving away with a ‘real’ job! I’d love to have my site eventually support me, but at the moment that is still a dream. Depends what you mean by “truth”. If you mean “non-fiction”, the only line between truth and fiction is whether it has actually happened. If you mean “truth” in the sense of universal truths, then I don’t believe there is one. I have often learned universal truths from fiction or fantasy. What better way to illustrate a point than to set up a situation perfectly orchestrated in a book? Real-life is messy and often disorganized. The universal truths are still there, but they may be harder to uncover or see clearly. Fiction written by a skilled author makes these ‘truths’ and life lessons accessible to a bigger audience. To claim you cannot learn from fiction simply because it did not happen would be a disservice to yourself. Almost obsessively. I have always been an excessively organized person and I keep notes for everything going on in my life. This gives me some semblance of control so when a curve ball comes barreling through life I have a good way to adjust and tackle the next project! That being said, I enjoy spontaneity for new adventures like travel. I’ll have the flights and transportation organized 8 months in advance to fly across the world and decide what to do day-to-day as it comes. What will make you feel successful? Success in terms of my site will be if even just a few people find it helpful to find a great next book. And hopefully I will make some friends along the way! Success in life will be to find the work/life balance that makes me happy. A great book, good company, enough time to spend outdoors and the capability to travel! 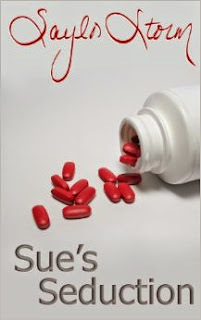 Interview with Saylor Storm about her book Sue’s Seduction and her writing career. In general do you like to talk about your writing and published books or are you very closed-lipped about it? I love talking about my writing mostly because I find the research that goes into the books to be absolutely fascinating. I am passionate about sharing what I learn. It’s very exciting to me to learn new things. What book/s are you currently writing and what is it about? My next book, due out in November, is a compilation of love trivia and fun facts that I’ve been posting on Facebook for the past year or two. The next book, due in March, is my first romance thriller called Basking in the Light. My character makes an attempt at Internet dating and it goes very badly. She encounters, not one, but two serial killers. I didn’t set out to write romance, but that is where my ideas stemmed from. It all comes down to love in life after all. I’m having fun branching out to different genres, such as science fiction and fairy tales. The majority of my inspiration comes from nature. The bulk of my ideas come to me while I’m hiking. It’s a flow. I never write an outline and often times I have no idea where the story line is going until I sit down and start to write. What aspect of the craft do you think is most difficult to learn? At the moment, I’m working on being more descriptive, so I would say that is the most challenging aspect for me right now. What has been the most encouraging comment someone has made about your writing? That I have a clean, distinctive style and if I keep working at it I may become a great writer one day. Just start, somewhere, anywhere! Write down a chapter or a paragraph. Everyone had to start somewhere. It only gets easier and better as you go. John D. MacDonald. I read every one of his books growing up and I believe that he stillhas a great effect on my writing albeit subconsciously. Do you have a favorite spot to read and write? In the summer I love to read under the canopy on my back deck and during the winter months in front of a roaring fire. Writing is most comfortable at my desk with a window that looks out at the Mount Tallac, elevation 9,700 feet! For 15 years I designed and imported pearl jewelry from China and for a number of those years I also worked as a Sharon Stone look alike. I spend most of my free time hiking the spectacular Sierra Mountains near my home in Lake Tahoe, Nevada. Middle aged, overweight, depressed and lonely, Susan Kent, becomes part of an anti-aging clinical trial and is offered a new lease on life. She swiftly transforms into a budding beauty. Her newfound tender age brings opportunities, lovers and tragedy. Sue’s youthful path takes her on a journey that she never could have imagined and catastrophe brings sobering consequences. Compassionate attorney, Roger Grayson, enters her life and saves the day. In the end does Susan choose youth or the promise of love? Get the book for yourself! Click below! While this is not my typical kind of book, I was asked to take a gander at this book, and I did. The book has a lot of plot twists and turns that keep you guessing until the end and on top of this you get to see the main characters develop from beginning to end in a very unique way. I enjoyed the growth of the character as well as the flowing style of the author. You truly become engaged with the book and the characters become real too. The author writes in a way where you can tell she wants to connect on a deeper level with her readers and in this book she has done just that! You are currently browsing the Saylor Storm blog archives for October, 2014.